The Grange End of the Hardwicke link with Tytherington Battle between the Squire & the Vicar Squire and village cricket team Moorlands - Bristol home of Squire Hardwicke and wife Beatrice Hardwicke time line 1880-1936 Beatrice Hardwicke's floral vase Squire Hardwicke extends his garden and moves a road! 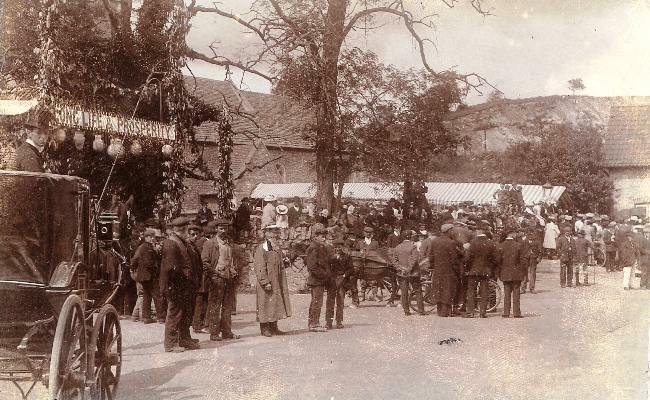 Thomas Hardwicke Agricultural Exhibitor & Judge What was the Squire really like? 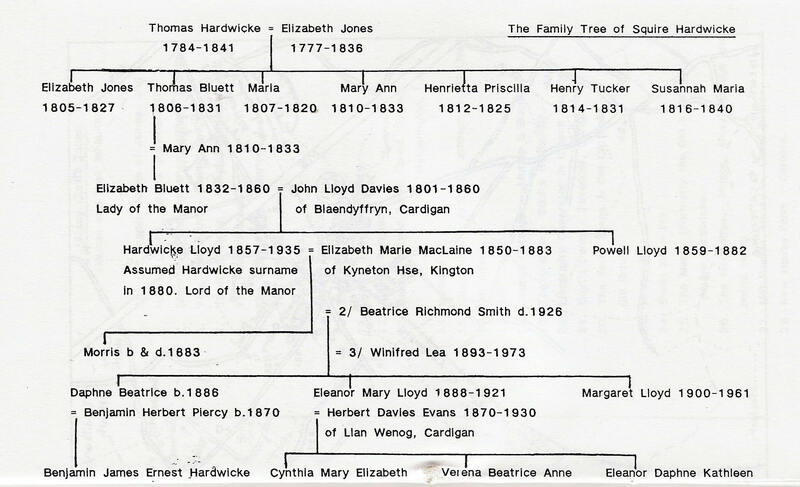 Distinguished guests at Eleanor Hardwicke's wedding. 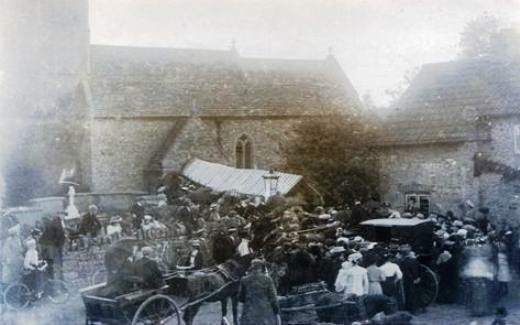 The three photos below outside the Church are thought to be from the wedding of the Squire's daughter Eleanor on 13th July 1907. 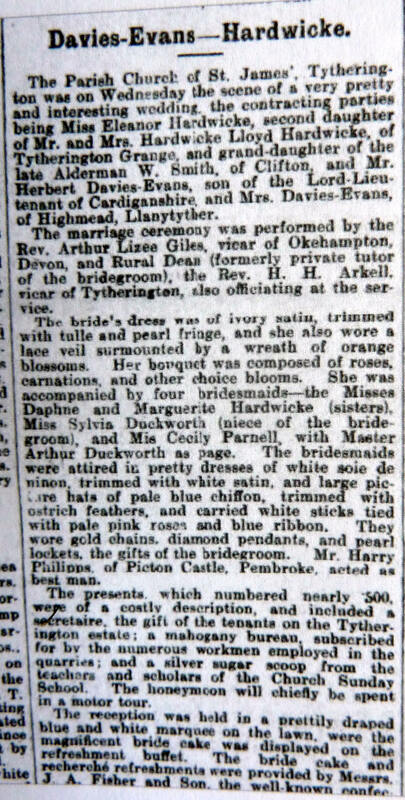 The newspaper cutting (right) is from the Gazette giving details of the wedding. 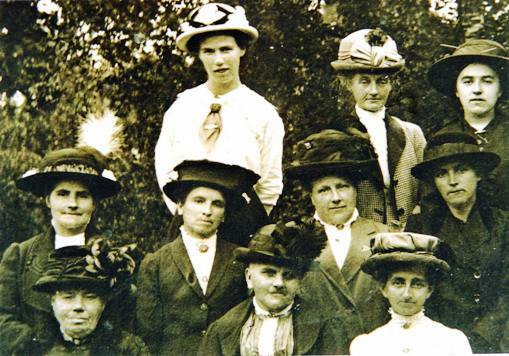 The photo below shows a Women's Bible Class. 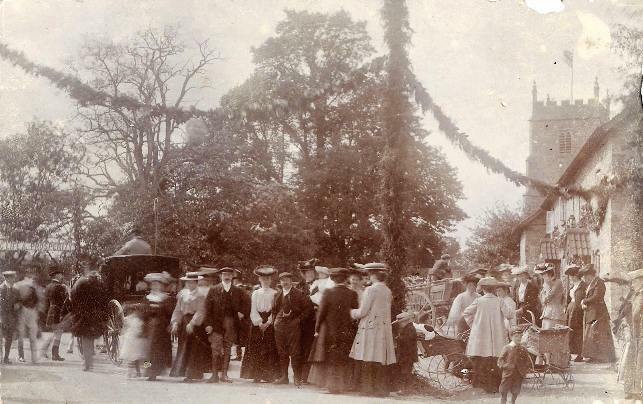 c 1906 held at the Tytherington Vicarage. 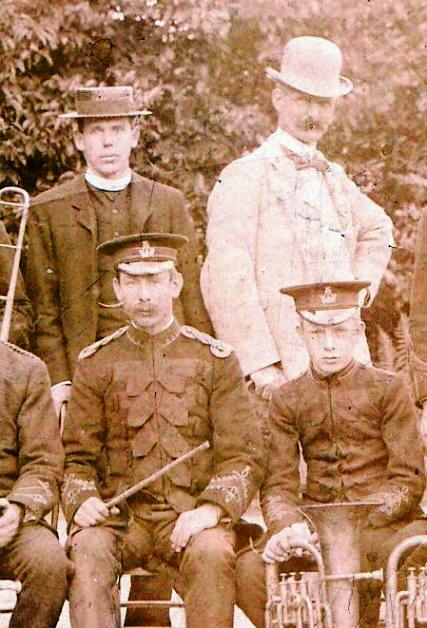 The ladies on the back row are thought to be L to R: one of the Squire's daughters, the Squire's wife and Ivie King.